Rising 30 storeys with a glass facade, the Four Seasons Toronto tower mirrors its residential twin. 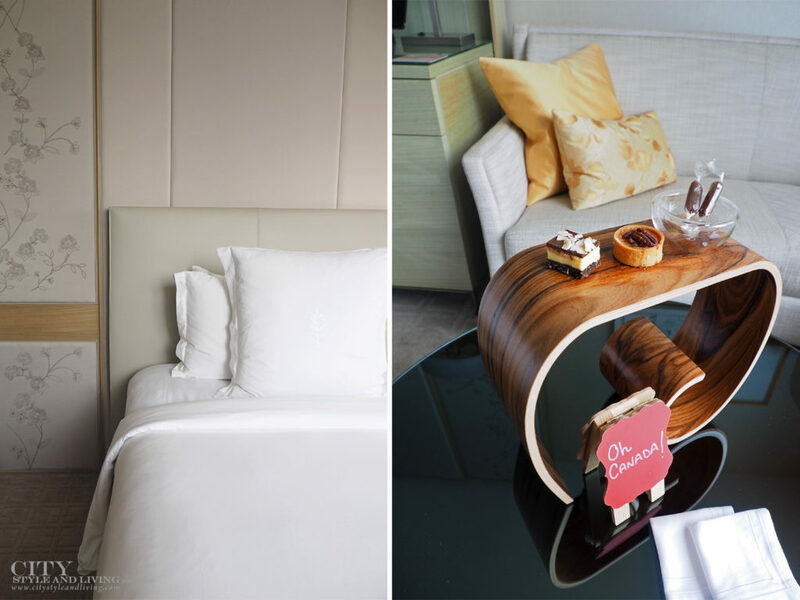 Subdued tones of taupe and yellow in guestrooms induce a sense of calm. 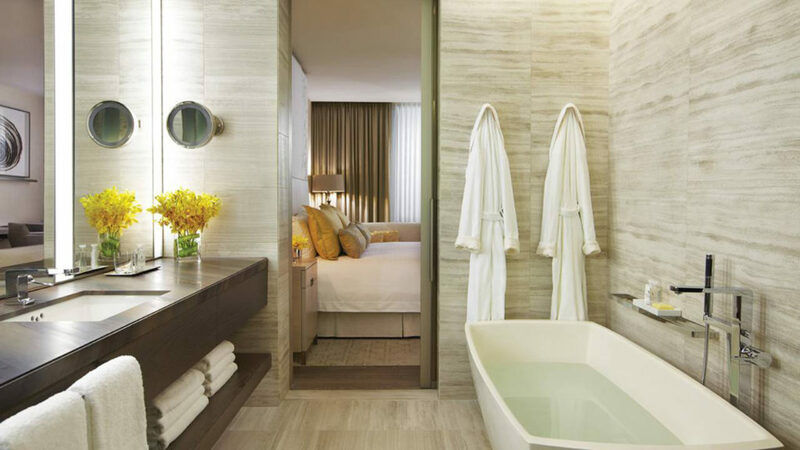 A simple design scheme allows the panoramic city views to take centre stage and let natural light flood guestrooms. Wood panelling in common spaces warms up the design. The hotel also boasts a spa, full service fitness centre, indoor lap pool and hot tub. 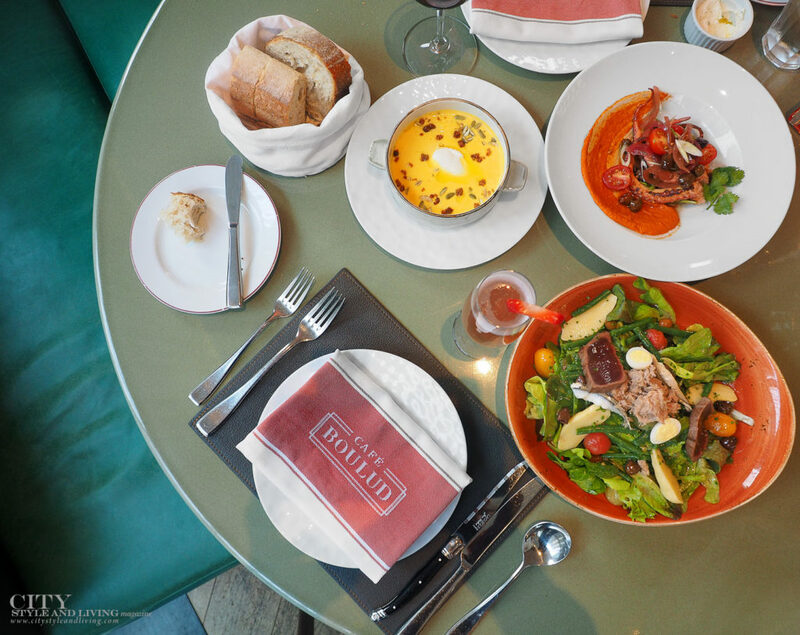 Café Boulud with its orange and teal colour scheme and 1920s influenced decor recalls classic French bistros with a 21st century twist. 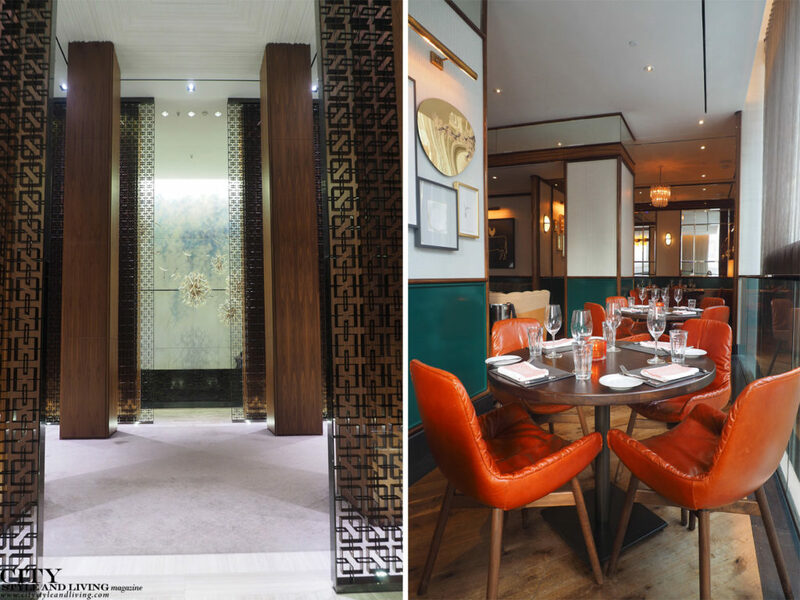 Banquette seating, a wraparound bar, and globe lights put the spotlight on intimate dining. The menu is heavily influenced by the Mediterranean with global touches. Our seared octopus with romesco sauce has punchy, bright flavour, while the poulet à la broche takes advantage of the restaurant’s unique rotisserie. 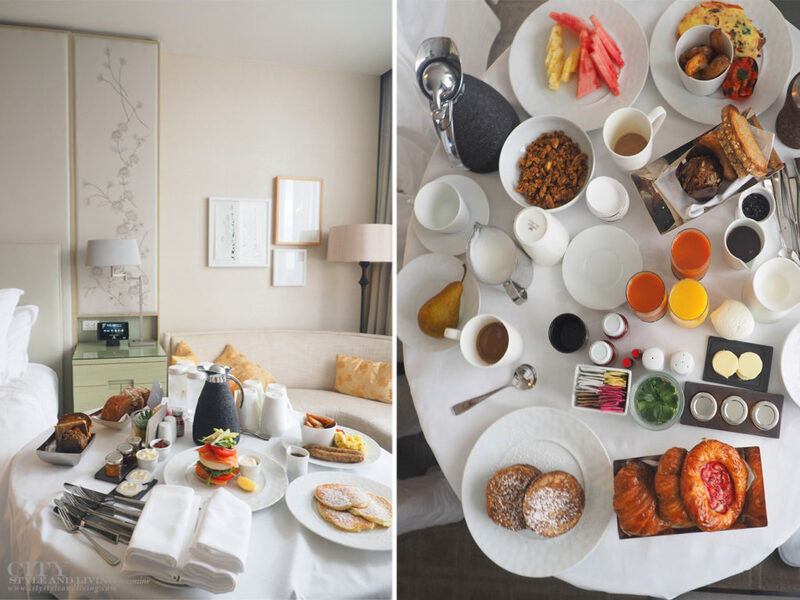 For breakfast, in-room dining does not disappoint: delicious strawberry Danish, eggs Benedict with an unexpected Granny Smith apple salad topping, light lemon ricotta pancakes. 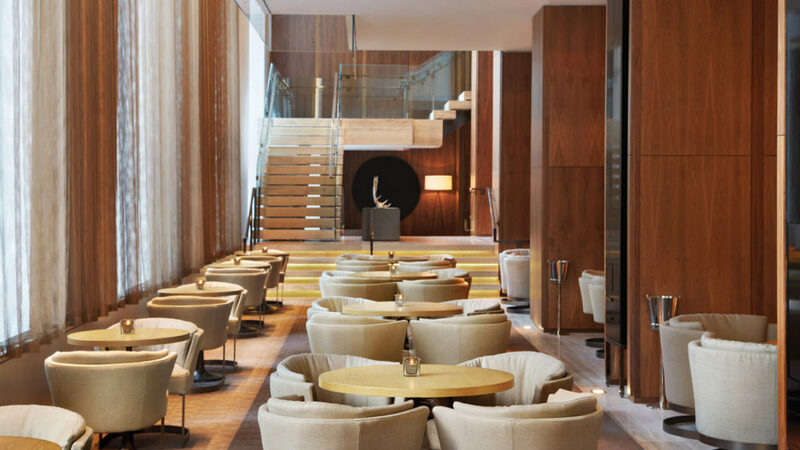 The 259 guestroom and suite hotel looks onto the bustling city and many of Toronto’s landmarks, restaurants and bars are within walking distance. As the hotel has several unique services, expect to encounter a wide range of guests.